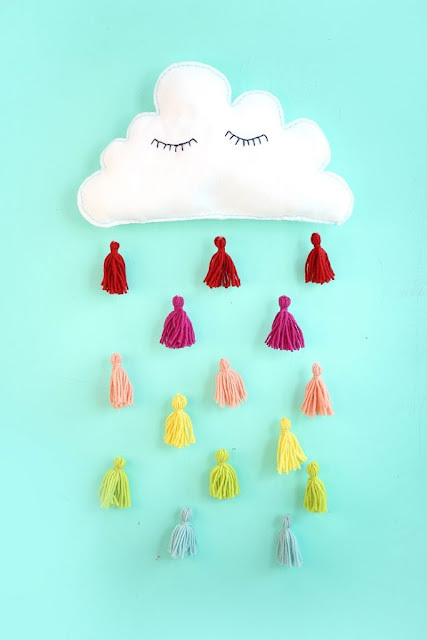 Our article is going to show you 5 great ideas with tassel decorating that you can DIY. They are easy and won’t occupy much of your time, but for some you may need advanced skills in DIY or maybe sewing skills. 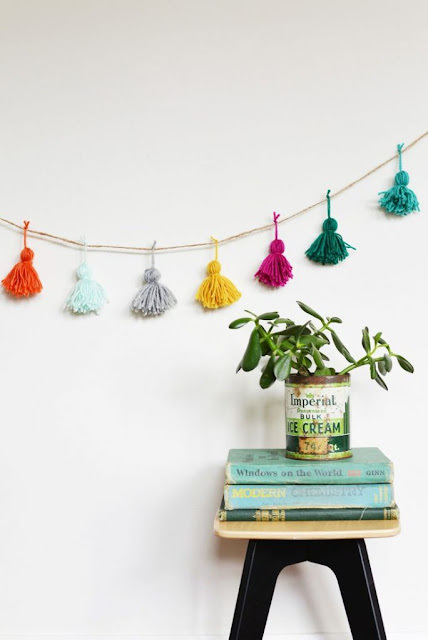 We definitely encourage you to scroll along and see how much you can do with tassels! The tassel garland is one of the most known DIY projects. It’s easy and creative way to add some color to dull space. Use tassels in more colors to achieve this effect! Or, if you can use one or two colors if you want the whole room to be in the same tone. It can work as a great wall decor and it’s perfect for birthday parties and other special occasions. This project is also very low – budget because you only need three materials to make your own garland: yarn, scissors and a book or piece of cardboard. We’re back to the jewelry. You have already read about the tassel necklace and why not include tassel earrings to your jewelry instead? If you’re afraid that they’re going to look too cheap or simple, adding rhinestones can be the difference you need. 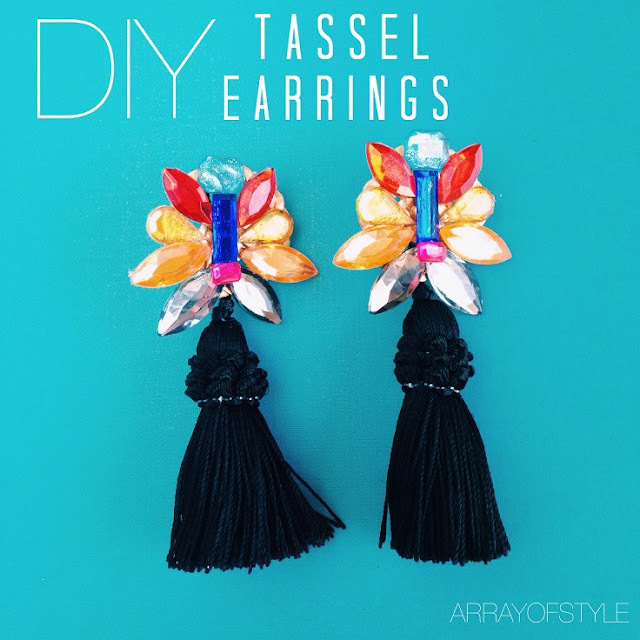 You just need pair of earrings that you don’t use and have a flat surface on which you can glue the tassel and the rhinestones. Just arrange them in a way you want them to be and glue them. Simple and sweet! The DIY tassel pillow is a project that you can use for your bedroom, living room or for your balcony or garden. Pillows deserve to be decorated, and this is a nice way to do it! For this project you just need 18×18 pillow, embroidery floss in similar color in order to have the ombre effect and needle and white thread. 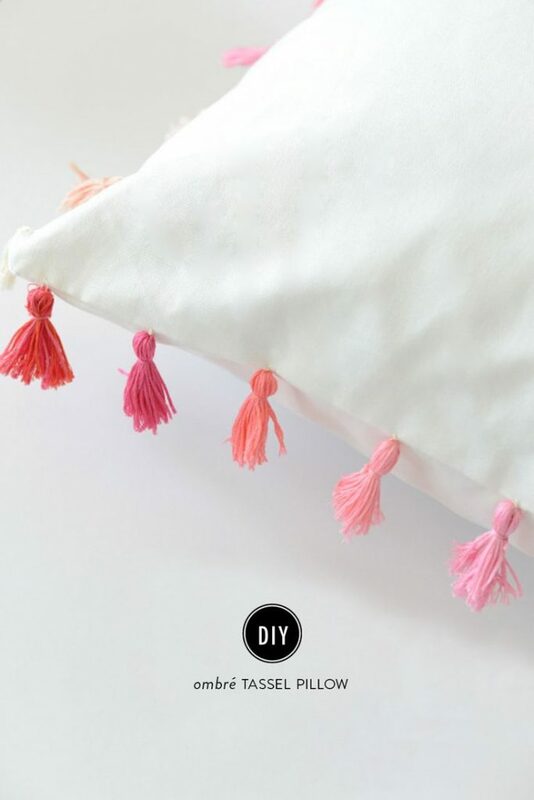 First make the tassels and then sew through the top knot of each tassel to the edge of the pillow until it’s well secured. This is really one of the most wonderful DIY projects that you can do for your children. The colorful tassel drops are simply amazing! This project is really creative and amazing. If you would like to have the same one for your children’s room, here’s what you need: a pile of yarn in a rainbow of colors, white felt, pillow stuffing, embroidery floss in light blue and black, needles, scissors, a pencil, a large cloud shape cut from posterboard and a clear jewelry wire. Blankets are the ultimate definition of coziness. No matter if we use them at home or as our picnic blanket, they certainly have the power to make us feel and comfortable at the moment. 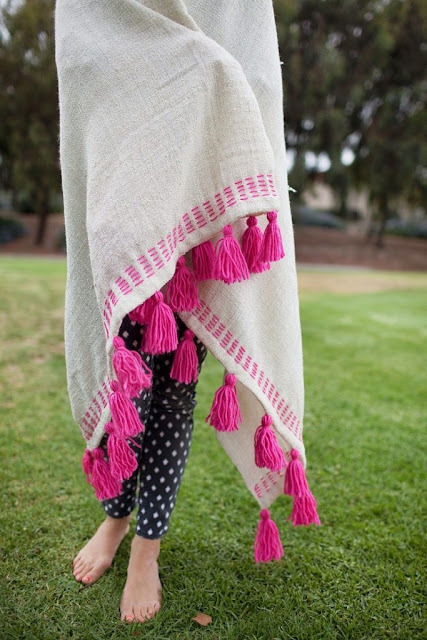 If you would like to attach tassels to your blanket, here is a way to do that. Besides the blanket, you will need yarn, tapestry needle, regular needle and thread matching the color of the blanket and sewing machine. For this you will need to have basic sewing skills.